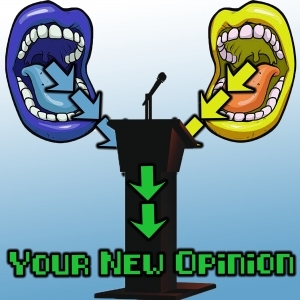 Your New Opinion: Your New Opinion - Ep. 105: Should the United States Get Rid of the Penny? Change is good. Loose change though? Well, that's what the boys are set to take on in this week's episode! Ryan tasks the other two with the debate of if America should get rid of the penny. Mike goes all in on trashing the one cent piece. Nick meanwhile tries to make bank for the other side. They discuss everything including: low income Americans, spare change, The Leukemia & Lymphoma Society, government wastes of money, the will of the people, TD Bank, good luck, two-headed babies, the US military, inflation, and the Gay Agenda. So prepare to strike it rich in: Should the United States Get Rid of the Penny?